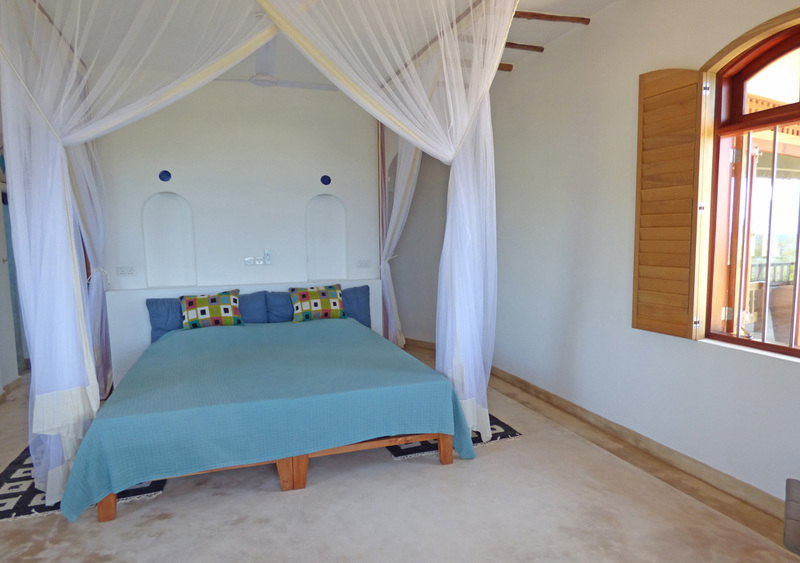 This stunning three bedroom beachfront house is set up high on a ridge overlooking the Watamu Marine Park and beyond, offering spectacular views, including a very special one from the plunge pool upstairs. 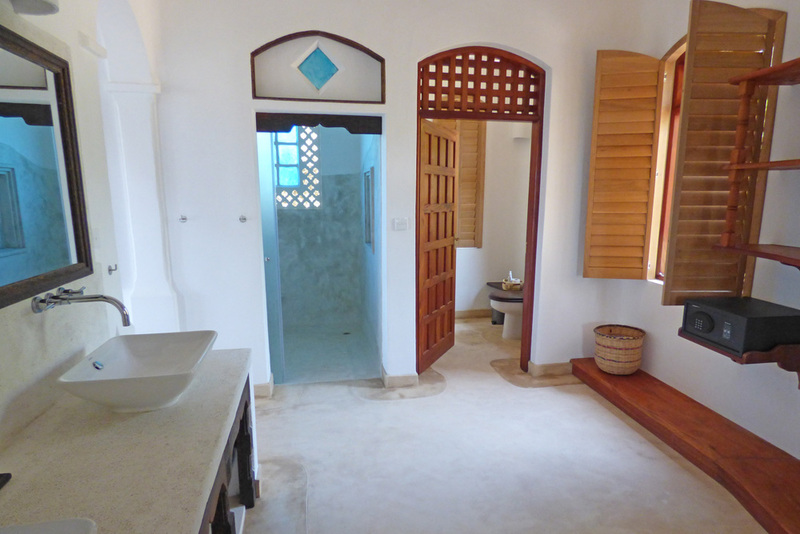 A lovely feature of this new house is that the living spaces, including bar area and plenty of comfy seating areas are upstairs with a semi-outdoors feeling, so whether eating, drinking or lounging about, you still get to see and feel Watamu in all it's glory. All three bedrooms can be double or twin rooms, with one bedroom upstairs and two down. 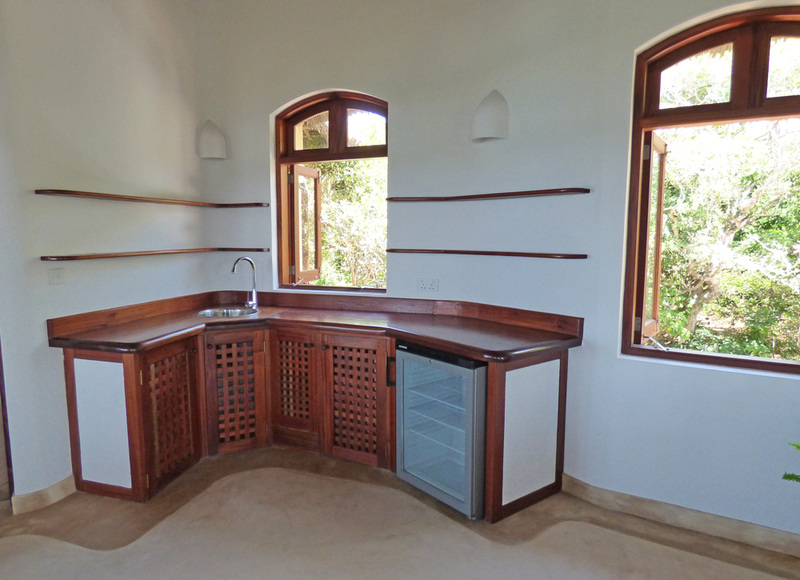 All have fitted mosquito nets, overhead fans, air-conditioning, ensuite shower rooms and their own verandah. 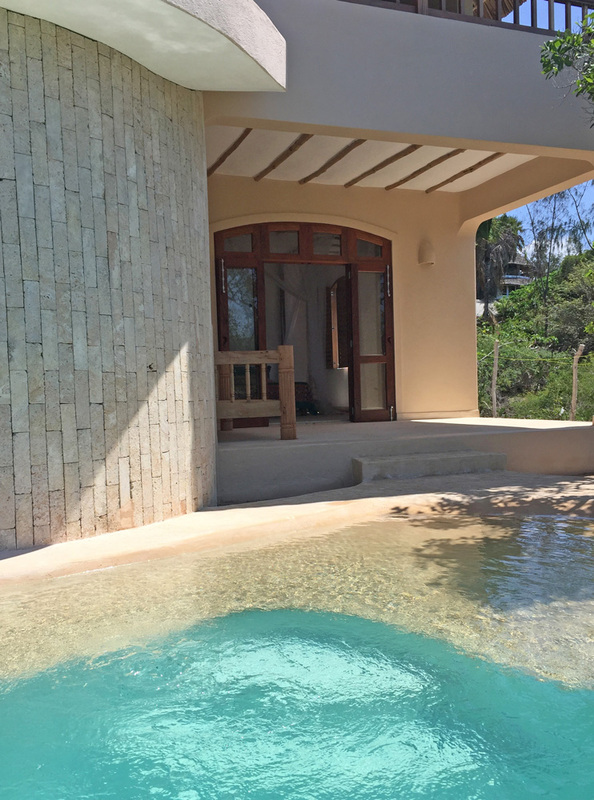 As well as the plunge pool upstairs, there is a second, larger one on the ground floor with shallow areas, wonderful for splashing about with the children. Direct beach access is through the forest via own private pathway. The property is fully staffed including a cook, and the askari is shared with the neighbouring property. There is Wireless internet and Satellite TV and the house has a backup generator in the event of a power cut. The property can sleep 6 guests. A refundable security deposit of Ksh 30,000/- is required for this house. This property is rented with Wireless Internet included as part of the package. Please note that we do not subscribe to unlimited downloads and therefore operate a ‘fair usage policy’ which is a weekly package with an expected usage of 12GB. Bookings over 1 week will be provided with a 12GB package per week or part thereof which should be more than enough to keep in touch with the office or home via email and for regular web browsing as well as a small amount of streaming.